The 69-year-old guitarist will continue his 'Rattle That Lock' world tour and make a stop in Europe including a special concert at Freedom Square, Wroclaw, Poland, as part of the city's celebrations as European Capital of Culture 2016. The evening will be different to any of David's previous gigs as it will include the orchestral section conducted by his long-term collaborator Zbigniew Preisner and will also see a guest appearance by Polish pianist Leszek Mozdzer. 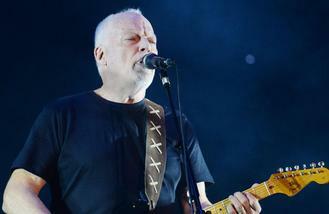 It will be the former Pink Floyd musicians first concert in the European country in a decade. The 'Wish You Were Here' hitmaker last performed at the Gdansk shipyards, to celebrate the founding of the Solidarity trade union, a show became the successful live album and DVD 'Live In Gdansk'. The tour is in support of his fourth solo studio LP 'Rattle That Lock, which was released in September and has been a global success, reaching number one in 11 countries, including Poland and the UK. David will bring the tour to North America and Canada next, where he will perform sell-out March/April shows in Los Angeles, Toronto, Chicago and New York.